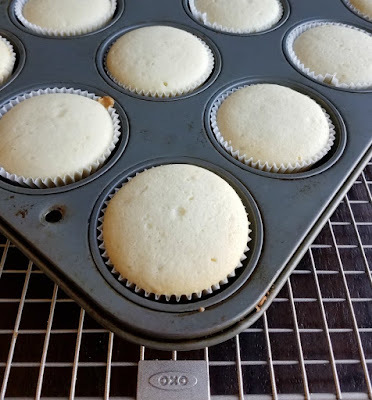 Fluffy white cupcakes are made perfect with a cake mix and a lot of add ins to make them special. They are the perfect texture, flavor and will quickly become your favorites as well! These cupcakes start with a box mix, but with a lot of twists turn into something magical. I dare say they are the best white cupcakes out there and that's really saying something coming from me! You know I am usually a big fan of homemade cakes. I have a ton of great cake recipes here on the blog. Honestly most of them are almost as easy to make as a mix, they just have a few more ingredients to measure. That doesn't mean that I don't understand the allure of a mix. They instill a sense of confidence and give you something to build from. In fact the chocolate cherry fudge bundt cake that my family absolutely loves starts with a mix (and a can of cherry pie filling!) Sometimes easy recipes like that are exactly what you need. So lately I've been on the hunt for the perfect ways to doctor up cake mixes for cupcakes. 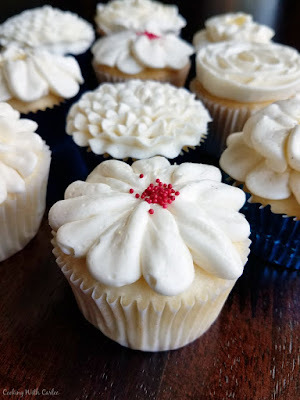 I've been having the best time decorating them and want to make fun cupcakes every weekend! There are so many suggestions for hacks out there. So I had been trying a few to find my favorite. The first few white and yellow cake hacks I tried didn't work for me. You'll see I had sunken cupcakes for both the sheep cupcake cake and the Mr. Grinch cupcake cake. Truthfully, both tasted delicious, but nobody is hunting for a recipe that makes sinking center cupcakes! 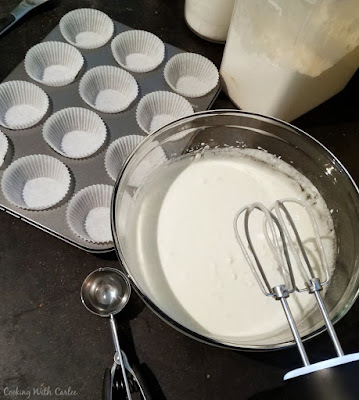 I love cakes with plenty of sour cream or yogurt mixed in and it turns out you need to add more flour and sugar to get the texture I was after. This recipe is very similar to the semi-homemade chocolate cupcakes in that there are so many mix ins you end up with half again as many cupcakes. That's right, 36 cupcakes instead of 24! Luckily extra cupcakes are not a problem in my neck of the woods. In fact, I purchased some bakery style plastic cupcake holders which make them easy to give away and transport. I've also frozen them fully decorated in the containers and they have defrosted beautifully! I just pulled them out a week or two later and let them sit on the counter for an hour or so to defrost. Everyone was amazed how good they still were. I've piped the perfect summer buttercream on them and Italian meringue buttercream and both were amazing. 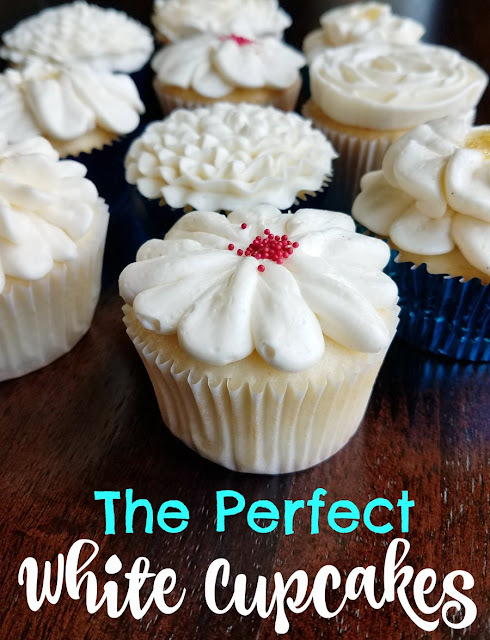 I tell you the texture of these cupcakes is perfect and any frosting is just the literal icing on the cake! Think part angel food cake and part white cake and super soft and moist and you have these lovelies. You simply have to make them for your next party! Preheat oven to 325 F and place cupcake liners in 36 cupcake wells. In a large bowl, whisk together the cake mix, flour, sugar, salt and baking soda. Add the liquid ingredients and beat on low until combined. Turn the mixer to medium speed and beat for two minutes. Scoop into cupcake liners, I like to use my large cookie scoop to make it easy. Bake for 18-22 minutes or until the tops spring back when lightly touched. Beautiful cupcakes. I like the nickname Cupcake Carlee! I do like that you can freeze these and use them later. Have a great weekend, Carlee! A great way to use of all of that Italian Meringue Buttercream!!! These cupcakes look so delish! I love the way you decorated them. Just beautiful. Thank you for sharing at the Whimsical Wednesdays Link Party! Thank you so much! I had fun decorating them too! 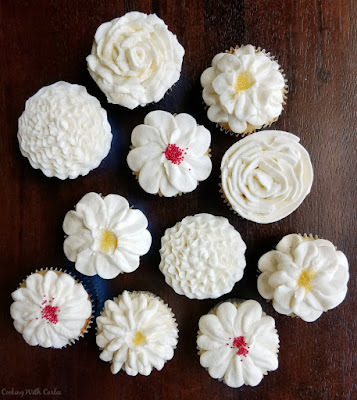 Super cute flower cupcakes! Yum! Thank you for sharing on Merry Monday! Hope to see ya next week! It makes it seem a bit more approachable if nothing else! Thank you! Such cute decoration, and I'd imagine these would be great for special occasions too. Thank you! They were really fun to do! 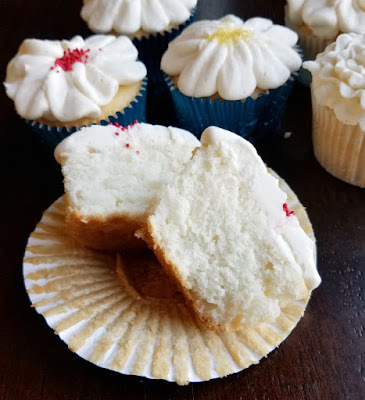 Secretly white cupcakes are my favorite! I can't wait to try these! Thanks for sharing on Celebrate 365 Blog Party's Cake and Cupcake Party! So want to try these! 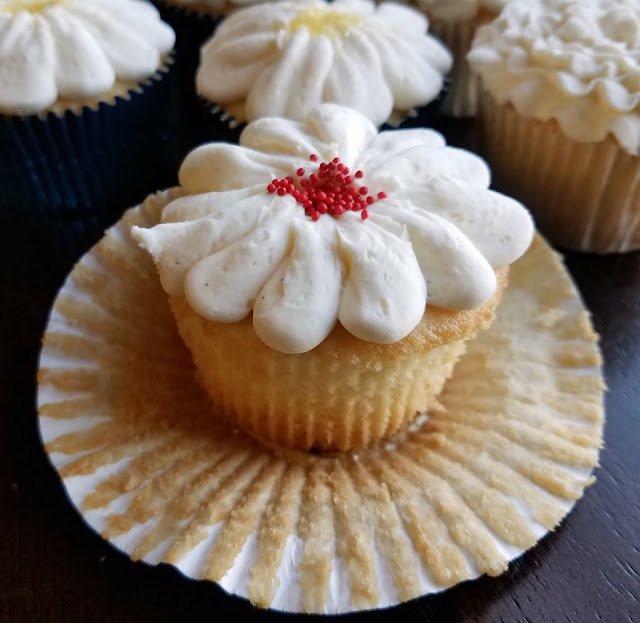 The print button is not working on my end, will cut and paste, but thought I'd let you know, could be my end as I was able to print your buttercream recipe!